Register for the Greene County YMCA Sprint Triathlon today! If you're looking for a scenic venue and a fast but challenging course, then look no further! The Greene County YMCA Sprint Triathlon appeals to both veterans and beginners alike. Join us for our 3rd Annual triathlon in Greeneville, TN. Event includes a 150-yard indoor swim, a 12-mile rolling bike ride through the country and a 5K run through historical downtown Greeneville. Awards presented to top overall, age group and relay finishers. Not USAT Sanctioned. Race shirts and sizes guaranteed to participants registered before May 12th. This event would not be possible without VOLUNTEERS! Please contact Tasha Ferrell at 423-639-6107 or tashaf@greenecounty-ymca.org if you'd like to volunteer for this event. 150-yard indoor pool swim with time trial start with each swimmer starting every 10 seconds. Participants traverse through the pool lanes for 150 yards until exiting through the back doors into the transition area. 12-mile ride offers a great balance of flat roads and challenging hills through the scenic countryside. Traffic control and volunteer support at all intersections. Relatively flat out and back 5K course through downtown Greeneville with water stations at every mile. 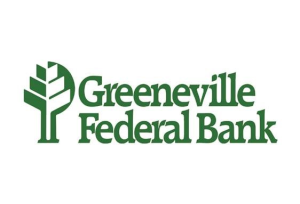 THANK YOU Greeneville Federal Bank for the primary sponsorship!